Welcome to JB Plumbing and Heating, my name is Jamie and I am the owner of the company. JB Plumbing and Heating has been stablished since 2012, we serve both residential and commercial clients and offer a variety of money-saving solutions. We combine our use of the highest quality parts and equipment, and our dedication to delivering exceptional work to provide you with satisfactory service. Whether you need a simple boiler installation or complete heating system replacement, we offer a wide range of residential and commercial plumbing services to meet your needs. We continually strive to exceed expectations by ensuring that each client receives the very best service. 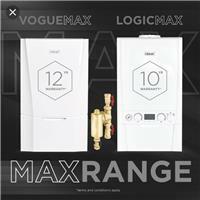 We have been hand selected by ideal and are now able to offer 12 year warranty on all ideal vogue’ s and 10 year on the logic + boiler’s. Please contact Jamie on: 07715 894633 for friendly advice and to discuss your requirements.